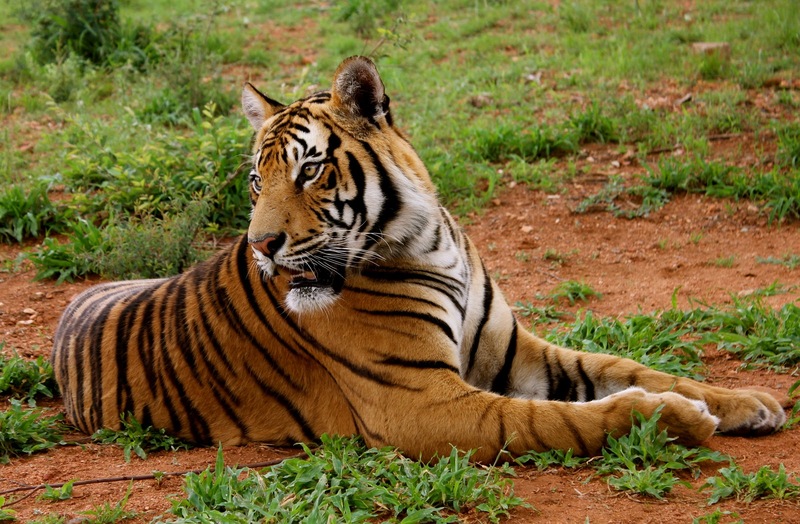 The biggest cat Tiger also has its own distinguish ability likewise Humans. As no two humans are known to have identical fingerprints, no two tigers have similar stripe patterns. Infact, every single tiger is known to have its very own pattern and individuality making each one unique. All the stripes are marked right away since its birth. The cup looks more stripes than the color. It is only then when the cub grows the marks move farther. As fingerprints are both genetically and environmentally influenced, thus the stripe patterns are also influenced by genetics factors moreover controlled by a set of proteins. In Tigers the stripe patterns are determined in biological systems by a pair of morphogens that work together as an ‘activator’ and ‘inhibitor’. This theory was very well explained by Alan Turing in 1950’s. Researchers recently published the paper validating Alan Turing’s theory in Nature Genetics. It shows identification of the specific morphogens that amplified or decreased in the striping patterns — FGF (Fibroblast Growth Factor) and Shh (Sonic Hedgehog). This not only show us how patterns such as stripes are formed, but also shows a promising future using these morphogens in the field of Regenerative Medicine. Next PostCommitting suicide, a epigenetic change?